A month ago I flew to Sicily to spend few days at home together with my mother’s big family. I was so delighted for having found a very sunny and warm weather there. I must say indeed that I'm still trying to get used to the enchanted, snowy but also cold winter months here, in Germany, where I have been living since March 2014; therefore I needed a little break in the extreme Europe south. And spring was already at home: "winters never looks like winters, in Sicily". I had a pleasant and funny time with my relatives. 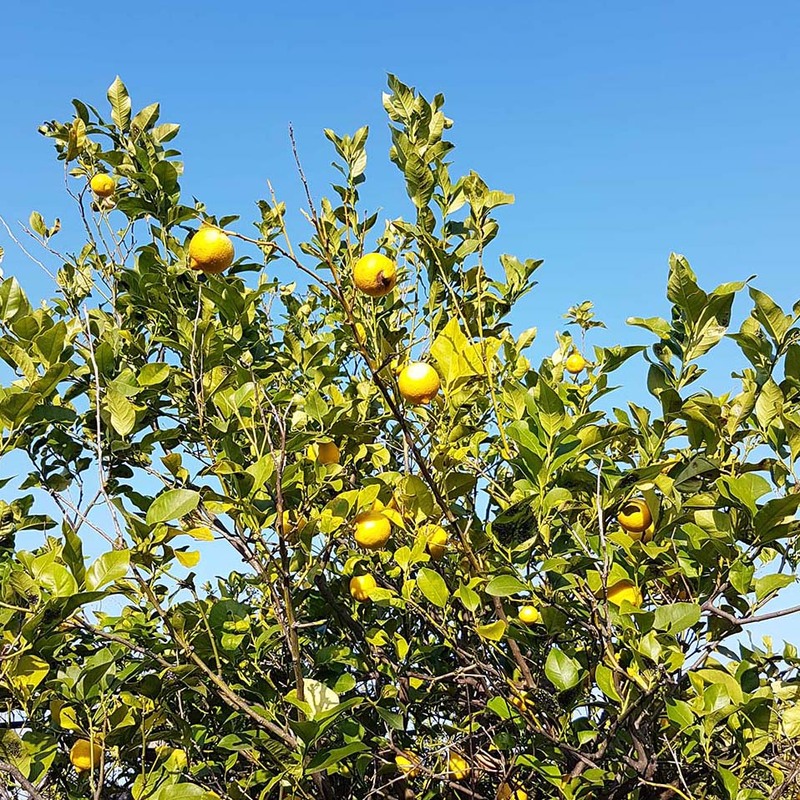 In particular, I will jealously keep in my memories an early afternoon family meeting, organized by my mother to pick exquisite oranges and lemons directly from some trees. 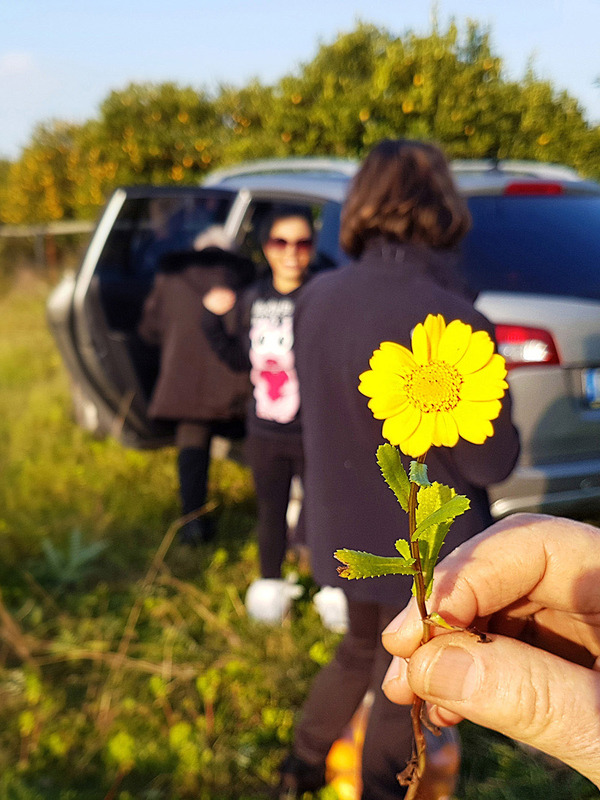 They were cultivated in her best friend’s field, located in the beautiful countryside area surrounding Floridia, a little town not so far from Siracusa, the city in which all of us were born and grew up. That was a sunny day. I remember that after lunch we drove to reach the orange and lemon trees grove. Meanwhile, I could admire the wonderful early spring landscape along the way: fields of soft new grass, amazing trees and plants in bloom embellishing the border of the countryside roads, lush greenery spread all around. It was spectacular perceiving once again the awakening of nature. And I was happy to share this beauty with my beloved family. We were a very big band: me, my grandparents, my mother, her three sisters and her friend, plus three of my young cousins, all of us ready to pick the best oranges and lemons. We parked our cars in the grass area preceding the orange grove. After putting some plastic bags around the shoes, we started our exploration walking through the scented trees. The field wasn’t so big but everyone could collect lots of tasty oranges and lemons. That was a nice moment we spent together while being in contact with nature, chattering about funny stuff and helping each other, especially when the oranges were in the highest part of the trees and then difficult to pick. My grandparents were awaiting us near the cars while enjoying the sun, sat happily on the folding chairs they brought from home. After we finished our work, we reached them and stayed relaxed in the greenery, tasting our sweet orange trophies and checking who picked the best fruits. We promised to organize a barbecue in this wonderful and calm place, exactly in may, when I and my oldest aunt would come back in Siracusa, and the family could join once again. Despite our diverse personalities and opinions, the physical distance among us, the different, bad and good situations we experienced, we are still enthusiast of being together, and I’m really thankful for this. Our adventure was almost concluded: it was 17:00 and the sun started setting behind the near low hills; the sunset light gilded everything and the nature was almost ready for the night. 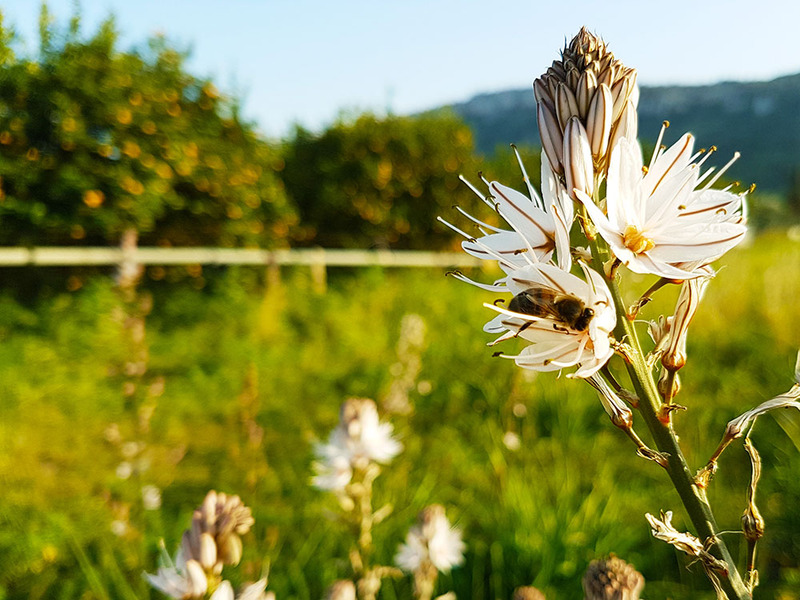 While the others were preparing all things before leaving, I and my grandfather had lots of fun in taking pictures of the wild flowers grown around. Who’s not inspired by the spring? After coming back in Munich, I wanted to materialize my exciting early spring contact with nature in some way. The subjects which could better symbolize this great experience were definitely the wild daisies I picked up with my grandfather. Their strong sunny and vivid yellow color transmitted me a sense of renewed energy I would like to propagate to you as well. So, after having found some inspiring tutorials on pinterest, I decided to crochet a lovely yellow flower. And then I added two crocheted leaves to complete my little spring composition. I have to say that it's difficult not becoming addicted to crochet flowers in this period of the year. And I have some ideas in mind about how to use them. Before concluding my post, I leave you below the links to the tutorials I followed in order to create my little crochet decoration. I love your story and your crocheted flower!wonderful to meet you on craft schooling sunday!If you take a look at my photos from Israel, you'll notice that many of them have a similar feeling to yours from Sicily! all the best! Dear Mom Dahan! Thank you so much for visiting! I would like to see your pictures from Israel but I coudn't find your blog. I hope you can read this message. Thanks for your nice words. 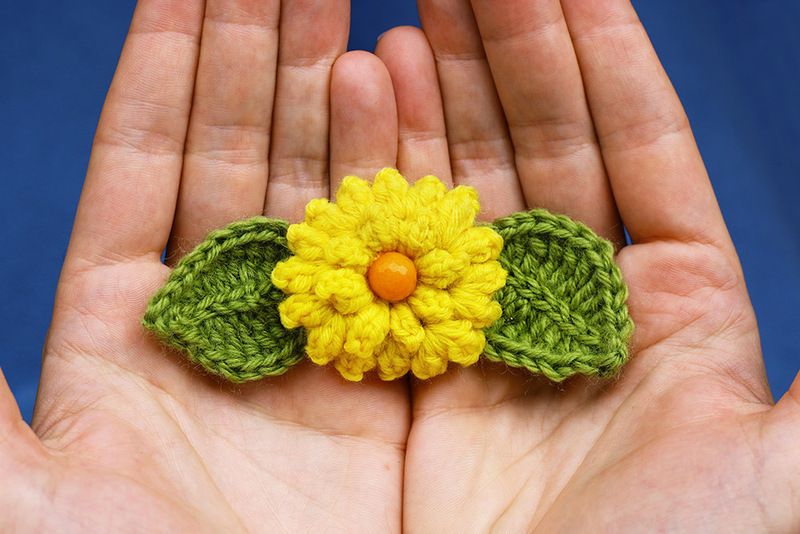 Beautiful photos and a beautiful crocheted flower! Thanks for sharing your lovely experience with us. Thank you so much for your kind words and visit, Pradeepa and welcome! Hi Rahel, thanks for your visit! Beautiful photos and what a lovely crochet flower. Thanks for sharing at Celebrating Spring. Thank you so much for your kindesk words! Thank you for sharing your memories with us! For me, there is nothing more precious than family reunions especially out in nature, where people can enjoy each other's company, talk and share experiences, create memories and celebrate life! I think exactly the same thing, dear Maya: nothing better than spending time with your family, especially outside, in the wonderful spring nature. I've got some ideas about how to use these crochet flowers and I will show you soon my creations in the next posts. Thank you so much for your visit! Welcome to my blog! I'm Lilah, travels and handmade lover, searching for beauty in little things, living my days with creativity in mind. Don't miss a post! Enter your email to signup to my blog newsletter. Click the button below to start following my blog.